Tags: Audio interface for recording, OS and DAW optimization. This is a troubleshooting guide for Firewire in Windows XP or Windows 7 with emphasis on its usage in music recording. This guide is not applicable to other operating systems such as Mac or Linux. There are lots of audio interface that is using the Firewire port to interface with the PC. If you are having issues with Firewire in audio applications; this guide can definitely help. Most Important Step: Does Windows recognize Firewire? The first step to any Firewire troubleshooting is to make sure that your operating system recognizes IEEE 1394. OK supposing you have a motherboard with built-in Firewire or a PCI based Firewire, how do you know that it is recognized by Windows? Or you can go to Start – Control Panel – Right click on “System” then go to “Hardware” tab and then click “Device manager”. You get the same results but the long way of accessing device manager. 2.) 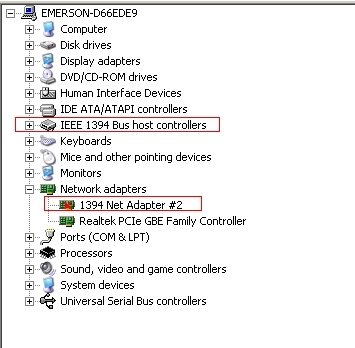 If you cannot see IEEE 1394 in the device manager and you are sure that you have a Firewire in your computer, it implies that you have issues with your Firewire. If you are not using an onboard Firewire; you will need to remove the PCI Firewire card and replacing it with other Firewire PCI cards to see if it works. You can also use the motherboard built-in Firewire port if it’s available. Before removing any Firewire devices in your PC such as your PCI card or replacing your motherboard; there are also cases where the operating system won’t be able to detect Firewire. 3.) 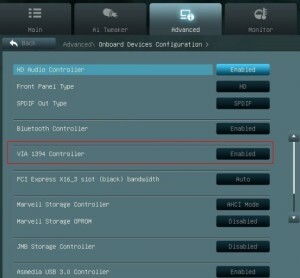 Most computers have BIOS admin screen, so you need to login and check your BIOS admin screen (depends on the motherboard model), to check if you have enabled Firewire. If Firewire is not enabled in the BIOS, then your operating system cannot use it. In the above example, it uses the VIA Firewire chipset. It might be a different one in your motherboard. The most important thing to look at your motherboard BIOS screen is the “1394” (regardless of chipsets used) that stands for a Firewire device. Then make sure it is set to “enabled”. If you do not see this under your BIOS onboard devices, then your motherboard does not have a built-in Firewire. 4.) 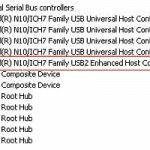 If you are sure that you have IEEE 1394 enabled in BIOS and still Windows won’t be able to detect it (you don’t see it in the device manager). There is a high chance that you have a damaged Firewire. 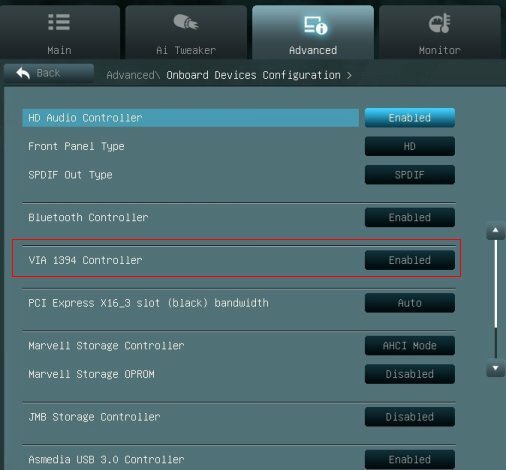 From my personal experience: I encounter some scenario where I have a dual boot system (Linux and Windows) that uses the Firewire audio interface. Then suddenly it stops working and device manager in Windows is not detecting it. 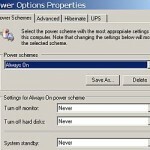 I completely turn off your computer (as well as your Firewire audio interface) for some time and then boot directly to Windows operating system. Then Firewire appears in the device manager as shown in the screenshot previously.